Kody Keplinger both returns to the halls of Hamilton High and explores new territory in her collection of two e-book exclusive novellas. In these short stories, the author revisits a familiar cast of characters from The DUFF (Designated Ugly Fat Friend) and A Midsummer's Nightmare. 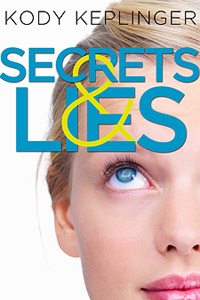 Explore the uniquely teen world of high school drama, secrets, and romantic entanglements from completely fresh perspectives that will intrigue fans of Kody Keplinger and new readers alike.